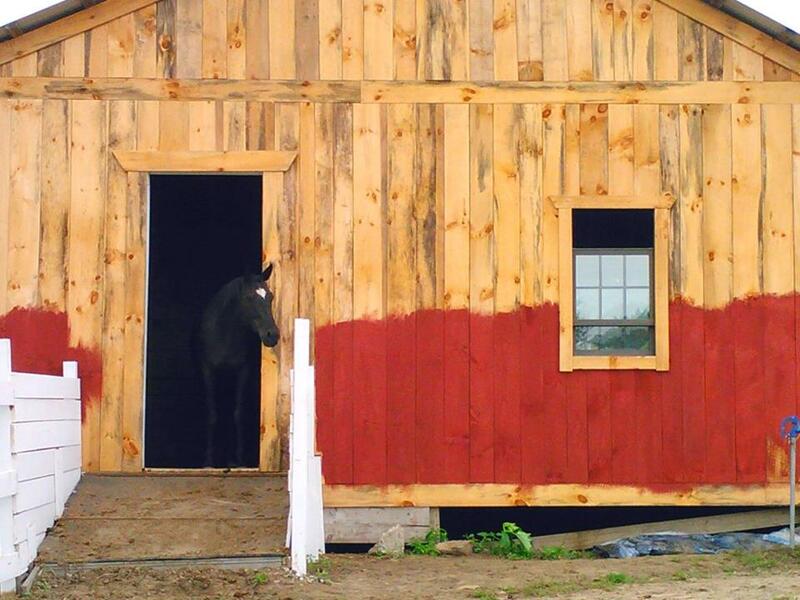 Help Us Build A New Barn! Tara Farm Rescue is currently raising money for a new winter barn. After many years, our old barn was no longer safe, and had to be torn down. In order to build a new barn with adequate facilities to take care of our current residents, we have to raise $33,000. This barn will provide our many long term residents a warm, safe home for many years to come. 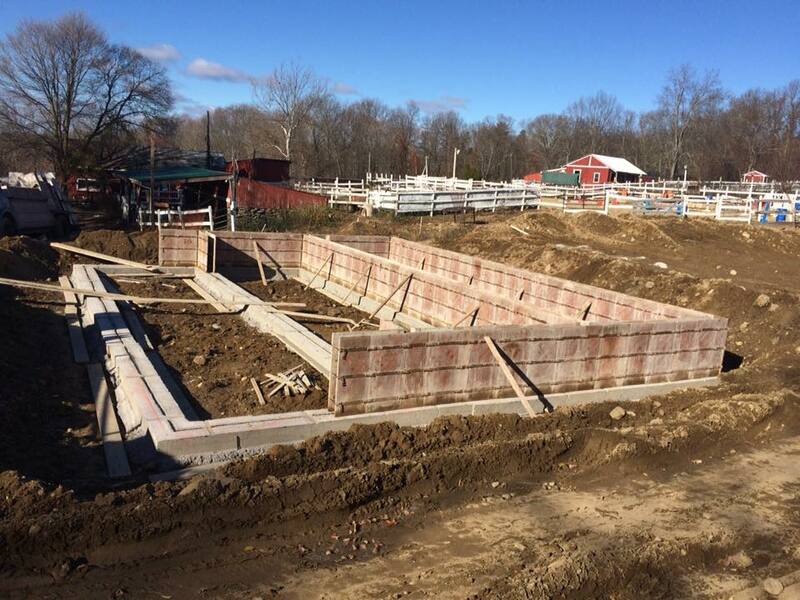 Please help us raise the money needed to build our barn! Tara Farm Rescue is a working farm, providing boarding, riding lessons, adoptions, and private party services for funding. However, it costs about $6,200 a year to feed and care for just a single horse. As such we are always seeking donations of every size to help offset the financial burden. There are other ways you can help us out too! Purchase supplies through horse.com and mention Tara Farm Rescue so we can earn points towards supplies. Or you can purchase and donate any of the supplies from our wish list. Remember, we're a registered 501c3 nonprofit, so all donations are tax deductible! So you want to volunteer at a horse rescue? Helping horses and animals in need can be a rewarding experience, but consider what it will take before you commit to volunteering at an organization. Being a volunteer has great emotional appeal, but fulfilling a volunteer commitment can become a real burden if you have not carefully considered the realities of your responsibility. Before you make a commitment to volunteer, keep in mind the following questions and concerns. IMPORTANT: All volunteers MUST fill out and bring the volunteer waiver form for liability reasons. We also ask that volunteers bring a bag of horse feed on their first visit. Horse feed costs as little as $15 for 50lbs, but believe us, we go through a LOT of it! 1. How much time do I have to volunteer? This is an important question, because many non-profit organizations rely on their volunteers for a significant amount of the workload. Your time, efforts, and expertise as a volunteer are valued and greatly appreciated. However, it is a commitment that requires a good work ethic and dedication. 2. How do I schedule my volunteer hours? Some volunteer positions demand three hours per week whenever you are available while others may require three hours on the same day and time each week. Communicate with us on your own personal schedule, and we can come up with a plan that suits you. 3. How long a period can I make this commitment? Some volunteer projects are short term, others may be long term, and many are ongoing and have no end date. Assess the length of time you want to commit, and make sure the program or project you select is a match for the time you have available. 4. Keep in mind changing schedules. Very often, schedules vary with the months or seasons. If you have school-age children, your schedule might change during the summer months. If you are a student, do you work full time in the summer? Make sure you take into account any schedule changes that can affect your availability. 5. Do I have the skills or expertise to do the job? Just because it is a volunteer position does not mean that you are exempt from getting the job done properly. If the position calls for special skills or expertise, be honest about your ability to handle what is needed and required. Volunteer work can be immensely rewarding, but there are emotional risks. At a horse rescue, for example, you might be faced with the fact that not all horses can be saved. Consider your ability to deal with tragic and difficult circumstances. 7. Where will I fit in best? Give serious thought to the type of volunteer work you prefer to do. Do you want to work with people or horses? Do you mind physical labor or do you prefer an office-oriented desk job? Would you like to work behind the scenes or on the front line? Do you prefer working with other volunteers, or are you more comfortable working alone? There are many different positions to be filled and we can find the right match for you. There are a million good reasons to volunteer and there are nearly as many opportunities to volunteer and make a difference. Careful consideration will increase your chances of having an extraordinarily rewarding and enriching volunteer experience.